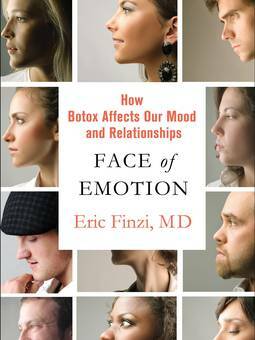 Finzi is the author of a new book, The Face of Emotion: How Botox Affects Our Mood and Relationships. If Eric Finzi is right, we should all take the expression “put on a happy face” more seriously. Finzi, a dermatologist in Chevy Chase, Md., believes that people with tense frown muscles — the ones between the eyebrows — are more likely to be depressed. When he treats depressed people with Botox shots in that area, the muscles unclench, the people stop frowning, and, he says, their emotional cloud lifts. Several small, preliminary studies now support Finzi’s idea of treating depression with Botox, and more are underway. It may seem crazy to address something as serious as depression with a cosmetic treatment, but several mental health experts say the theory makes sense. “I don’t think it’s a far-fetched idea,” says Philip Levendusky, director of the psychology department at McLean Hospital in Belmont, Mass., and an associate professor at Harvard Medical School. Paul Ekman, whose research first established the idea that emotions and expressions are linked, said he thinks it’s perfectly plausible that changing people’s facial expressions will change their mood. “Depression is a neural circuit and if you interrupt that circuit in any way, you lessen its impact,” said Ekman, an emeritus professor of psychology at the University of California San Francisco Medical School. Both men say they’d wait for more research before trying Botox or other versions of botulinum toxin on their patients. So when Finzi treats depressed people with Botox shots between the eyebrows, the muscles unclench, people stop frowning, and he says “their emotional cloud lifts”. However, what about if Botox is injected into the forehead? This article is an interesting angle on the lack of forehead activity, this article discusses that Botox can dull people’s ability to read emotions in others Botox can dull the ability to read emotions in others, and this last one indicates that Botox can affect how it may affect people’s ability to parent. What do you think? Do you have an opinion on Botox? This entry was posted in Emotions, Facial Expressions and tagged botox, emotions, Eric Finzi, parenting, paul ekman, suicide. Bookmark the permalink.